Super Bowl finale time, so you know what that means: somebody is getting their chance to impress the nation with that iconic Star Spangled Banner slot. 2016's singer was none other than Mother Monster (does she still call herself that? ), Lady Gaga! Showing control, poise and restraint, the Diva gave a controlled and dramatic rendition. The lowered larynx, full sound wasn't entirely to my taste, but it certainly added some gravitas to it. Accompanied by only a piano, the Diva even manage to pay tribute to the oft-considered greatest rendition (Whitney Houston's if you didn't know) with the little head voice run on "free". Another minor niggle, the belts weren't pristine, but they did the job, working the audience up into a frenzy. But will this be remembered as one of the greats? Only time will tell! 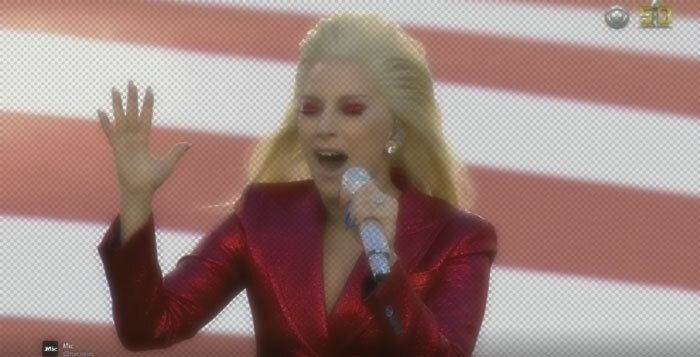 Go see and compare how other Divas handled the challenging national anthem with our Duelling Divas - "Star Spangled Banners" post!